Your Opinion Matters, Leave Us A Review! We’ll deliver to your door! We pride ourselves on having the best prices in Western Canada! Yesterday I went to Watrous Mainline Chrysler and bought a new vehicle. When we arrived there was a bit of a wait but all the staff were super friendly and helpful. I bought my new vehicle from Indira and she was awesome. She was very helpful and friendly. She answered all of our questions and she was just fun to deal with. Even with the wait we enjoyed our time there! My positive experience with Mainline Chrysler was maximized by Wes Rubbra. His customer service skills are excellent. He takes care of all his clients and it was evident that he is knowledgeable. He was patient and took ample time to address all of my questions. I strongly recommend visiting Wes at Mainline Chrysler! I strongly recommend Mainline Chrysler and Wes Rubbra in particular. He provided exceptional service and made the experience extremely positive. He is highly knowledgeable and personable. Thank you Wes! Wes has been a great help. He goes the extra mile. Thanks for all your help. Look forward to dealing other you in the near future. My wife and I contacted Mainline Chrysler to see if they could compare with pricing with a competitive dealer in Saskatoon. Wes Rubbra, sales associate, did more that compare with the price the Dodge dealership in Saskatoon gave us. Wes not only provided a considerably lower price on a new Dodge Ram Sport, but asked what we were looking for and needed the truck to have. Wes spent time searching for the exact vehicle we were wanting. The other thing we can score Wes highly on was, he is not a high pressured, pushy sales associate. He provided details and great pricing and gave us time to consider the option. We will definitely highly recommend Wes and Mainline Chrysler in Rosetown to other people. Thank you Wes! What great service! Thanks Wes for all the help! What a great experience. I have had a great experience here. Wes is a very friendly and service oriented sales representative. I highly recommend you go see him when you need a new vehicle. These guys are fantastic! Wes Rubbra goes above and beyond to get you in the vehicle that meets your needs, without the high pressure sales tactics of other dealerships! And Justin Fox, Finance Manger, handles financing with ease! Need some new wheels? Go see these guys! You’ll receive the same quality treatment from our Factory Trained Mopar Service Experts at Mainline Chrysler, regardless of which brand of vehicle you drive. For your next scheduled maintenance or unexpected repair, trust the Mopar Service Team at Mainline Chrysler Dodge Jeep Ram in Rosetown, near Kindersley, Swift Current and Saskatoon, SK. The minute you walk through the doors at Mainline Chrysler Dodge Jeep Ram in Rosetown, we’ll treat you like family. And we promise to always keep your best interests in mind. Our Central Saskatchewan dealership evolved into what it is today thanks to the Mainline Team’s passion for trucks. We provide our customers not only with the best customer service… but, the largest and best selection of new and used trucks in Saskatchewan! All departments, from our new and used sales staff, to our finance department and our service experts, are ready to serve our customers. Our Mainline team will exceed your expectations with our high standards of excellence in the Rosetown, near Kindersley, Swift Current and Saskatoon, SK. 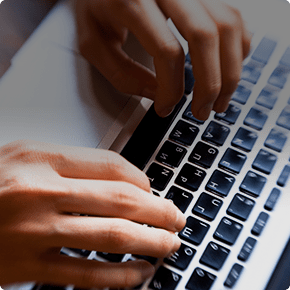 With us, purchasing is easy and we will even deliver right to your door. The Ram 1500 is one of the most respected “light-duty” trucks available… and for good reasons! The Ram 1500 is available in 7 different trim levels and three different engine configurations to compliment your lifestyle. Including the legendary 5.7L HEMI V8 we’re best known for! Dress your new truck with options such as the premium seven-inch Driver Information Digital Cluster Display. Keep connected with the media center with ultra-fast USB charging ports. Plus, crank the tunes with SiriusXM paired with a Harman Kardon premium audio system with 19 speakers. Sound good? Let’s get you driving a new Ram 1500 that really compliments to your life style, today! Mainline Chrysler Dodge Jeep Ram in Rosetown, near Kindersley, Swift Current and Saskatoon, SK. Are you looking for a new or quality used vehicle? 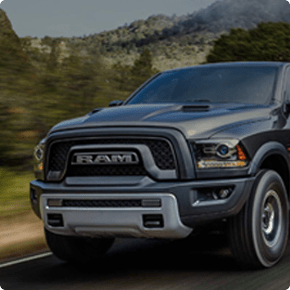 Whether you’re looking for a Ram 1500, Jeep Wrangler, Jeep Cherokee, Ram 2500, Dodge Grand Caravan or Chrysler Pacifica… Mainline Chrysler Dodge Jeep Ram has an excellent selection of new vehicles at unbeatable prices! In fact, pricing is our priority and we pride ourselves on having the best prices in Western Canada! You can start your search right now on our website, or stop by our showroom and see all of our award winning vehicles in person. Are you looking to save some of your hard-earned money with a dependable used vehicle? Your King of Trucks offers the best selection of used trucks in Central Saskatchewan, near Kindersley, Swift Current and Saskatoon. No one knows your vehicle better than Mainline Chrysler Dodge Jeep RAM’s Factory Trained MOPAR Service Experts! Trust Mainline’s MOPAR Service Experts for all of your scheduled maintenance and repairs. 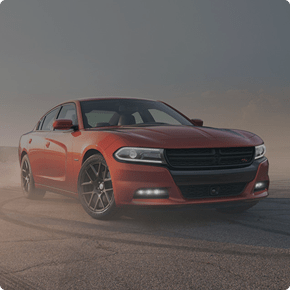 You can be confident in genuine MOPAR Parts and Service to keep your vehicle dependable for as long as you own it. 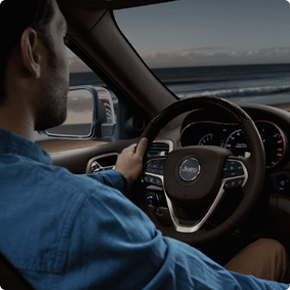 Trust the MOPAR Service Experts at Mainline Chrysler Dodge Jeep Ram to keep you on the road to work or play. Which means weekend family camping trips, on-time client meetings or getting the herd their meal on time. Every time! 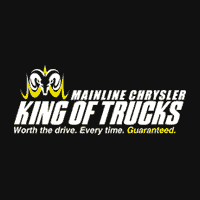 Mainline Chrysler Dodge Jeep RAM, your Factory Trained MOPAR Service Experts in Rosetown, near Kindersley, Swift Current and Saskatoon – Saskatchewan’s King of Trucks! Our Mainline Chrysler Dodge Jeep Ram finance staff are here to help! Our finance staff can help you find auto loan or lease option that works best for you. Sure, they’re handy with numbers! But, when it comes to serving our Rosetown, Kindersley, Swift Current and Saskatoon customers… you’ll find that every member of our finance team is a true people person. And when it comes to securing the lowest interest rates, their powers of persuasion will prove it! The best part is, after spending a little time ironing out the finances, you can hop in your new Chrysler, Dodge, Jeep or Ram and show it off.